Hostels You Should and Shouldn't Stay at in Thailand and Cambodia — Beck! What the Heck?! Hostels are a very important part to your backpacking experience. When choosing a hostel you look for somewhere you will meet people you can have a great time with, somewhere you feel safe, somewhere that isn’t so dirty you’re afraid to take off your shoes or take a shower, and somewhere you can relax if you need to. When you choose your hostel you have to use a system that works for you to make your ultimate decision. You can read my guide on how to pick which hostel is best for you here, otherwise, here is the list of places I stayed in Thailand and Cambodia and what I thought of them, hope this can help you find a great place! NapPark hostel is a clean, social, and comfortable hostel one street over from Khao San Road in Bangkok. The staff is nice, the beds are comfortable and it is located conveniently near major Bangkok attractions. For $11 a night it doesn’t get much better. Lazy House Shenanigans is the BEST hostel in Koh Phangan and one of the most fun hostels I stayed at in Thailand. Only a couple minutes walk from the beach, next to a Muay Thai arena, they have a restaurant, pool, and bar. 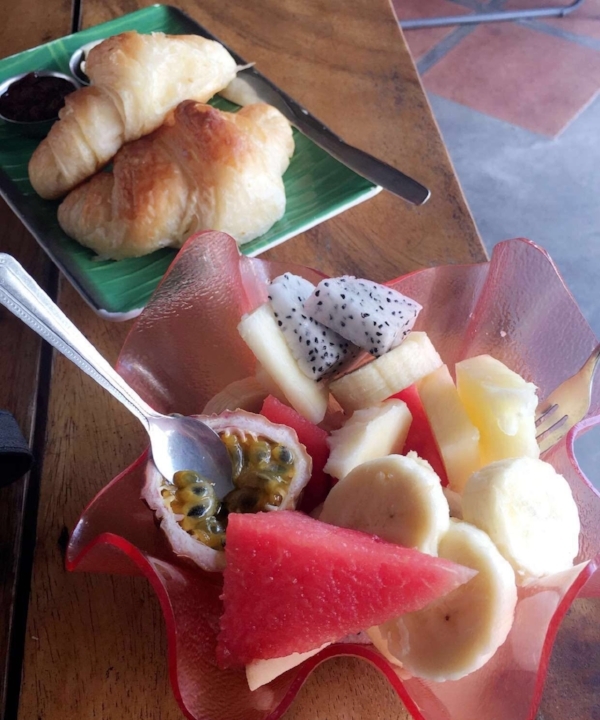 Lazy House is in Haad Rin and I couldn’t recommend it more, especially if you plan on heading to the Full Moon Party. Koh Phangan is a huge island, so it is about a 20-30 minute taxi ride from Baan Tai to Haad Rin, and I was glad I chose to stay on the Haad Rin side of the island. Oh, also, they have puppies at Lazy House! Blanco is the place to be in Koh Phi Phi. It is literally on the beach, they have the best cruise to Maya Bay, they also have a bar and restaurant, and being at Blanco puts you right in the action for all the nightly fire shows and beach parties. Slinky bar and hostel is a couple doors down, but from what I heard it was disgusting, and Blanco was clean and the AC blew strong. If you are going to be spending time in Krabi, I highly suggest staying at Slumber Party Hostel. They specialize in hosting hostel parties and tours to make sure you have a good time. Krabi was a very different island experience than I had on the other islands I visited, and Slumber Party hostel recognizes that and makes sure you have things to do with like minded people. Bonus, you sleep in a capsule! I couldn’t say enough good things about Diva Guesthouse. Diva Guesthouse is a hostel in Chiang Mai run by an all female staff that makes you feel right at home. I started messaging Diva months ahead of time before arriving in Thailand about some of my questions about the hostel and Chiang Mai and they were always quick and happy to give a response. When I got out of my taxi in front of the hostel they immediately knew who I was, and every morning they greeted me with, “Good morning Jessica, did you sleep well? Do you have any plans for the day?”. They had a great restaurant I ate breakfast at every morning, you can book anything you want to do in Chiang Mai from the hostel, and they do everything on a tab system so you don’t need to worry about paying for everything until you check out. If you are staying in Pai, Spicy Pai is the place to be. It’s a bit out of the main area of town, but it’s a walkable distance, and you’ll probably have a motorbike anyways. The bathrooms are clean enough (especially in comparison to what I heard about the Purple Monkey Hostel FYI). There is a bar and restaurant next door, coffee and toast every morning, and open air dorms which is nice considering the cooler weather in Pai. Bodega hostel is a social hostel but I 100% do not recommend it if you are in Bangkok. It is so far away from Khao San and all the major things backpackers do in Bangkok that taxi drivers will absolutely refuse to take you back and forth. On multiple occasions I found myself turned down by literally more than 5 taxi drivers, and that is not an exaggeration. I did a bicycle tour with Bodega which was great, but they are not the only hostel that offers that. I would recommend NapPark hostel or Warm White Hostel (weird name, I know) over Bodega without a doubt. Stay at Downtown Siem Reap Hostel! This is the kind of place where you forget how long you’ve been there and could end up staying here for weeks without even realizing it. I have always read about these places that people said, “I came for two days, but somehow ended up staying two weeks” and I thought it was a myth, but I found out what they were talking about when I stayed at Downtown! Everyone staying there said “This is my last night” every single night because they had been there weeks already, but they never left the next morning. The staff is great, they take care of you and make you part of the family, there is a hostel bar and restaurant with great food and the cheapest drinks I found anywhere during my month in Southeast Asia. They will arrange your tour of Angkor Wat, your taxi from the bus stop to the hostel, and nightly hostel events. The AC was cold, the bathrooms were clean, and there is pretty much nothing more you could expect from a hostel. Oh yeah, and it only cost $3 USD A NIGHT! There are so many hostels in Southeast Asia it can seem impossible to choose. I’m sure there are many more great hostels than on this list, but if you’re looking for something you already know is a good choice pick any of the ones I’ve suggested above. Like I always say, “Choose your hostel, choose your fate”!